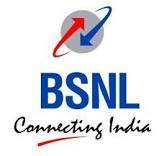 BSNL Rajasthan TTA LICE Results 2013: Bharat Sanchar Nigam Limited (BSNL) on 2nd June 2013 conducted Limited Internal Competitive Examination (LICE) Examination 2013 for Jr. Telecom Officer (JTO) under 35% & 15% quota examination (Apart from Direct TTA Exam held in July 2013) . BSNL LICE Exam 2013 is conducted for BSNL TTAs to wants to becomes JTOs after completing service conditions in BSNL. BSNL TTA LICE Exam pattern is inline with current BSNL TTA Exam 2013, so Candidates are advised to not confuse it with Direct TTA Exam held on 14th July 2013 across India. We are providing this results updates are per link provided by BSNL Unions websites so that BSNL Employees can check results on this website link or refer Official website of BSNL / Unions.